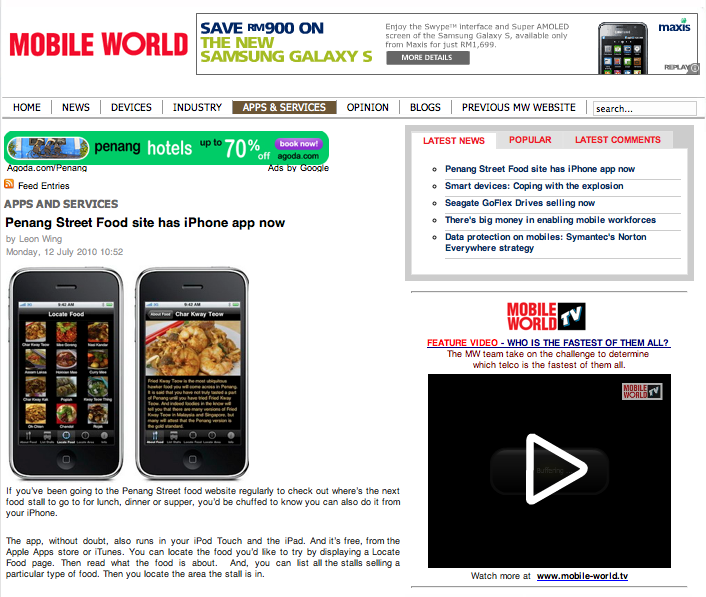 pharmacy online canadian pharmacy It’s a Mobile World After All… | Penang Street Food | Penang Delicacies "penang food", "penang hawker food", "penang street food", "penang delicacies", "penang gourmet", "food in penang"
A Tribute to Mobile World Magazine which featured Penang Street Food app! Read about it here. A world of Nasi Kandar. And a world of Popiah. It’s a Mobile World after all. It’s a Mobile, Mobile World. Penang Street Food’s the one! Good food to every one. « Penang Street Food app – A Travel+Leisure mag favourite!